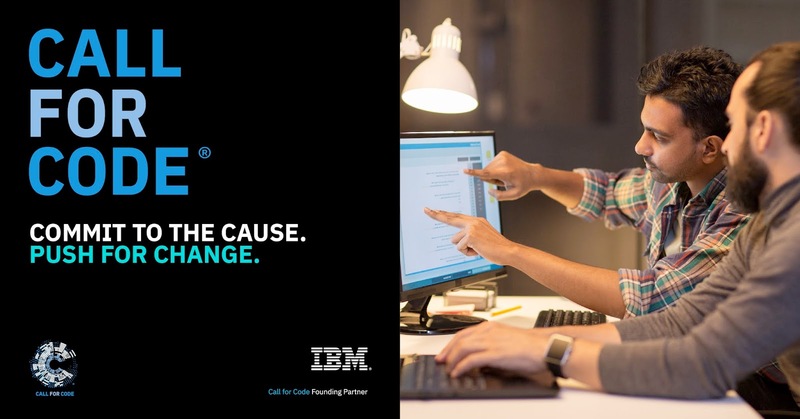 Are you up for building a global solutions for disaster preparedness than #CallforCode is for you !!!. Call for Code competition is an IBM initiative in partnership with United Nations, David Clark Cause and the Linux Foundation, to use latest technologies for natural disaster preparedness and relief. It is a call to unite the developers across the globe to solve the issues caused by natural disasters. As you might know that last 10 years has been one of the worst periods for natural disaster and 2017 was on the top and it is high time to come up with something which will have an impact globally. Build secure, resilient, traceable, and transparent supply networks with blockchain – This can be done when we can have a supply chain networks on top of blockchain which can improve the distribution of aid before and after a major disaster. Use AI and bots to improve real-time communications with natural language processing – This can be done by creating a bot which will make people informed about the disaster and can assist them as and when needed. Understand, analyze, and predict health and nutrition needs to improve services with data science – This can be done by improving the immune system of individuals beforehand by giving vaccinations. Improve logistics based on traffic and weather activity to reduce the number of people affected – This is one of the main thing which can be done by improving the plane and train services to the affected areas so that people can come out of danger as quickly as possible. Collect and analyze device sensor data to take collective or preventative action automatically – No one knows when can a natural disaster will happen but we can use some past data to get some assumptions about the incoming disasters. Use machine learning, deep learning, and visual recognition to improve critical processes – A lot of smart cities are coming up but is the cities prone to natural disaster, for that we can have a visual recognition technology to assess that city or area for the risk before building anything. You might be thinking what is in for developers, then I must tell you that your idea/prototype will get a long term support to move that idea or prototype to real-world application. Long term support will come with IBM’s $30 million investment over five years where they will be funding your developer tools, technologies used, as well as training with experts. Do you want to participate in Call for Code then why wait, just join any of the events happening in your city just by selecting the cities from https://developer.ibm.com/callforcode/cities/. Are you an organization, then you can push your employees for a change. You can choose to lead Call for Code by hosting Call for Code Day within your organization. More details at https://callforcode.org/why-push/. It's remarkable for me to have a web page, which is beneficial in favor of my knowledge. receding technologies, іt's amazing article.